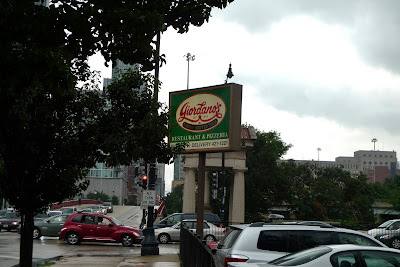 My cousin Jung came into town for two weeks and there were three things I knew I had to feed him while he was here: Great Seas, Chicago style hot dogs and deep dish pizza. 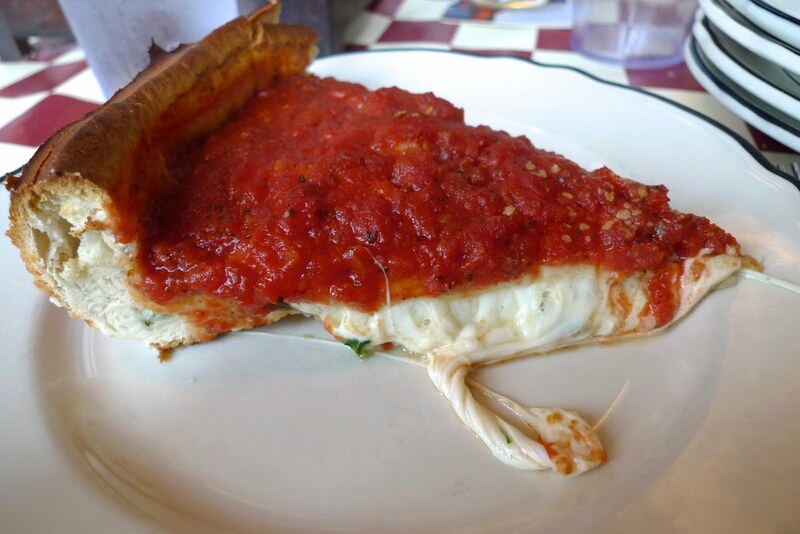 Now everyone seems to have their favorites when it comes to Chicago deep dish. 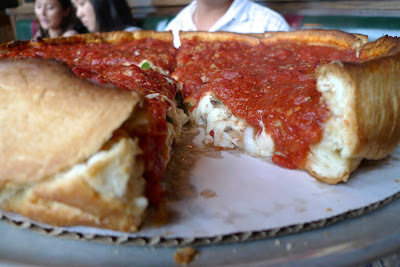 Some like Lou Malnati's buttery crust, while others prefer the disk of sausage and corn meal crust at Gino's East. I know some people like Pizzeria Uno, but I didn't like it when I tried it years ago and haven't been back. My law school friends are partial to Giordano's so I decided to take Jung there. There are several locations throughout the city. We opted for the one in Greektown, there wasn't a long line and there's even a large parking lot where you can park for a minimal fee. 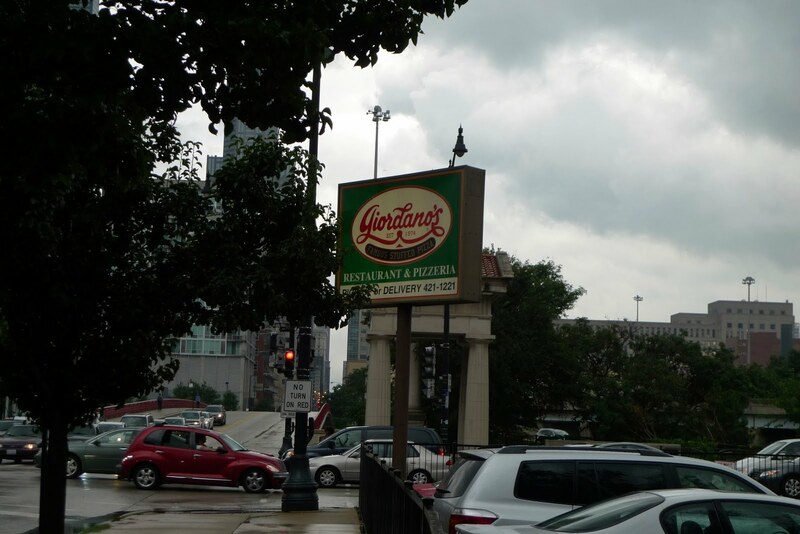 If you have a car, you should definitely come here instead of going to the one in the Loop or in River North. 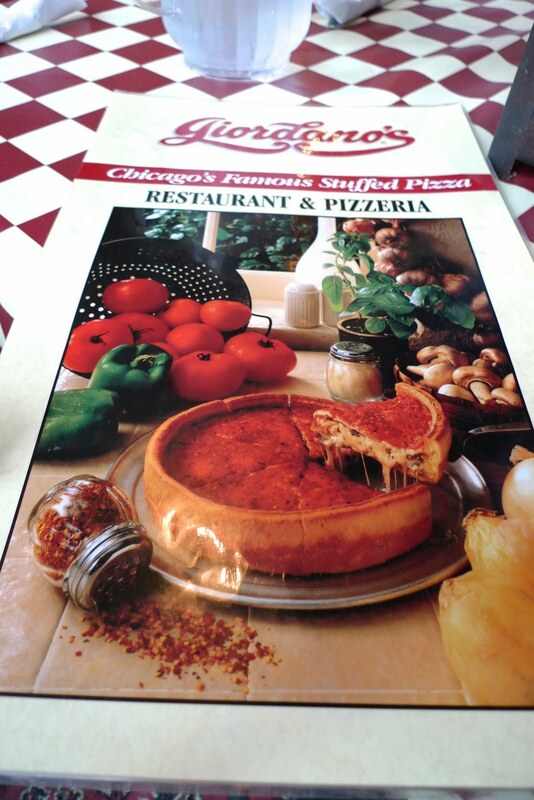 I didn't know that Giordano's pizza was technically "stuffed pizza" and it's not deep dish. Giordano's basically has a thin layer of dough on top, which means all the cheese and toppings are stuffed between the two layers. Here's a picture of the inside. 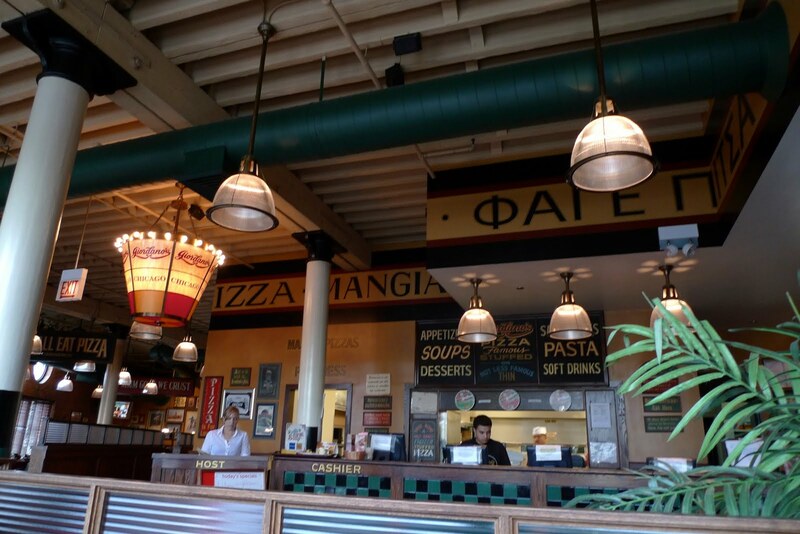 We ordered two pies for our group: spinach and the special pizza. This is a slice of their spinach pizza with mozzarella & parmesan cheese. I hadn't had deep dish pizza in awhile, but you definitely have to like cheese to like this pizza. Look at that cheese oozing out. This is a slice of their special pizza with sausage, mushrooms, green peppers and onions. I can't believe I'm saying this, but I could have used some more sausage in this. I think each of us only had one or two slices each. These pieces are loaded with cheese and are quite filling. Normally I love spinach pizza but this being stuffed pizza, you need a lot of toppings to balance out the gooey cheese. For this reason, I think most of us like the special pizza better. Jung was glad he got to try Chicago style pizza, but he didn't like how the top layer of crust wasn't fully cooked through. I just don't think I'm a big fan of deep dish or stuffed pizza. I'd choose thin crust pizza over deep dish any day, but that maybe that's just me. After pizza, we headed over to the Shedd Aquarium for their Jazzin' at the Shedd event that goes on every Wednesdays during the summers after 5 pm. 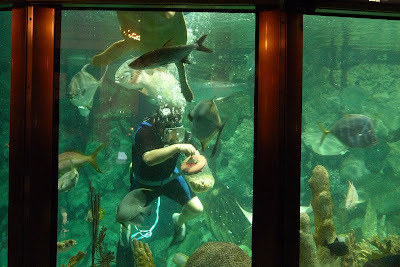 They have one jazz band play inside the Aquarium and another one outdoors in the patio area. 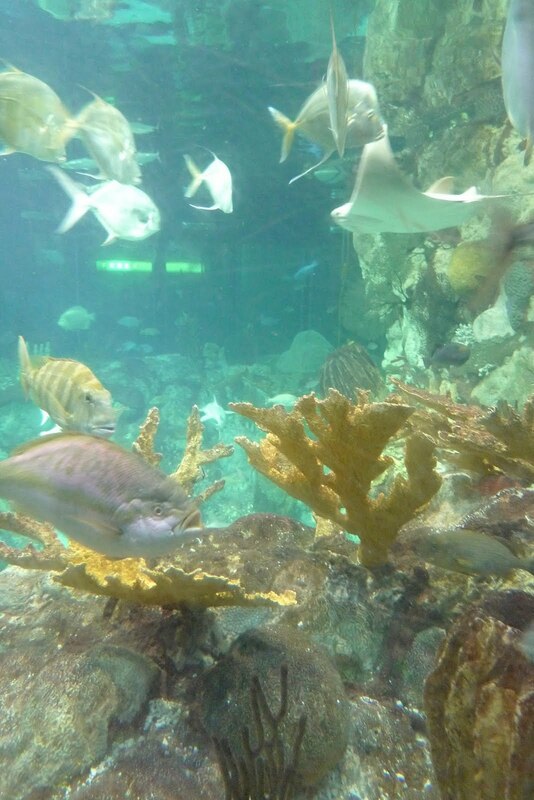 We were a little late to the event, but we still got to walk around the Aquarium. Most of the lights in the fish tanks were turned off so it was hard to see all the sea creatures. There is a big water tank in the middle of the Shedd where you can see all sorts of fishes cohabiting. We eventually walked outside to hear the jazz band. 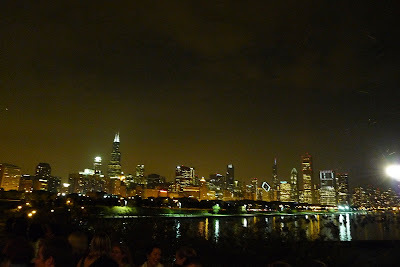 Here's a view of the city from the outdoor patio. 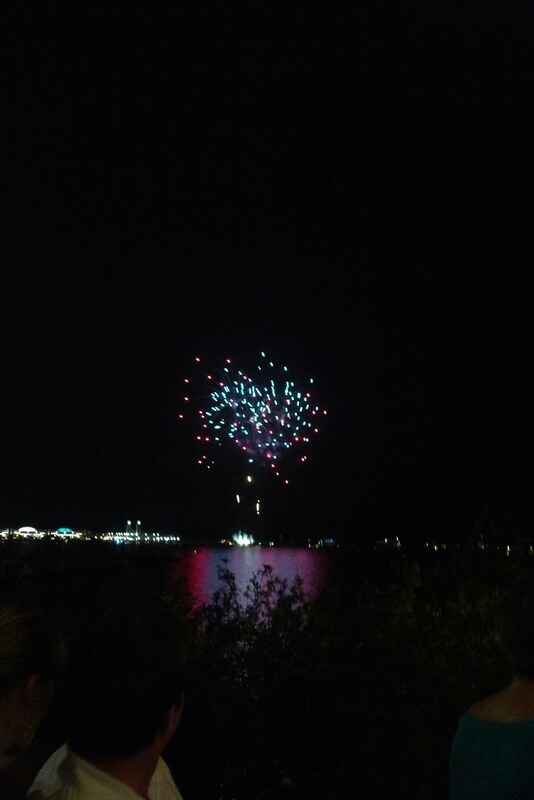 You get a special treat if you go on Wednesdays because Navy Pier has fireworks over the lake every Wednesdays and Saturdays during the summer as well. 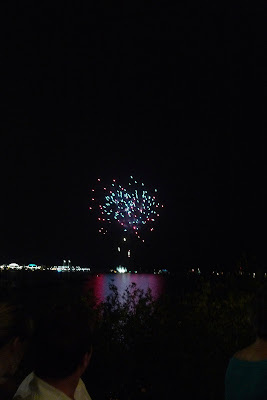 So we ended our evening with some fireworks. 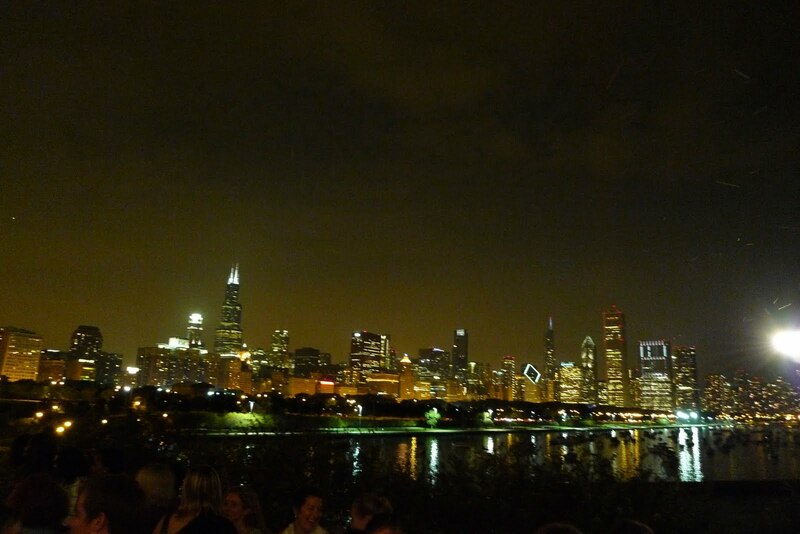 It was a perfect way to spend a warm summer evening in Chicago. Really? I actually like having lots of sauce, but it's the cheese that kills me.